All prices of LG 308 L Frost Free Double Door 4 Star Refrigerator(Titanium, GL-I322RTNL) in the above table are in Indian Rupee. The LG 308 L Frost Free Double Door 4 Star Refrigerator(Titanium, GL-I322RTNL) is available in FLIPKART. 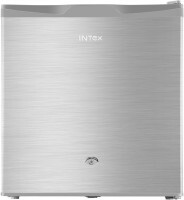 The lowest price of LG 308 L Frost Free Double Door 4 Star Refrigerator(Titanium, GL-I322RTNL) is 33990 in FLIPKART. 4.5 Average Based on 305 Ratings and 85 Reviews. Gave rating 4 only because i got a good deal in big billions day, i bought this @ 23140/- . I had done lot of R&D while purchasing the fridge but this is the best price on 308 L Refrigerator. In specifications its mentioned that Cool pad is present, but in this model it dosent come as i checked with local LG dealer. Flipkart gave me the replacement of the product but the coolpad was not available. I had a lot of issue with EKart delivery guy , as he refuse to bring the Refrigerator @ my 3rd floor house stating Refrigerator is too big so he took back but when it was resent the ekart guys itself bought it up. So delivery depends on person who is willing to bring. Ekart did a wonderful job while deliverying replacement product in 1 day. Will add more details after using the product. Awesome Service by Flipkart.But Demo by Jeeves was Poor! I am happy with the product and service by Flipkart. There was a minor issue where a basket guard was broken during delivery. Flipkart did a amazing job in getting it replaced by LG. There is an issue with LG service for products purchased from Flipkart. LG does not provide free installation and demo also the attitude of LG service engineers are unhelpful once they get to know that the product was purchased online. So I think because of this reason Flipkart has tied-up with a company called Jeeves for Free Installation and Demo of the LG products for Flipkart Customers. Which is otherwise charged Rs500/- by LG. **Feedback on Installation & Demo** But the installation and demo by Jeeves engineer was pathetic. The person does not know English or Hindi. Even when asked to give the demo in local language i.e. Kannada, he did not know any functionality of the fridge. There is a checklist for demo in the fridge manual and this guy could not tell about any of those. I can say I knew more about the fridge than him. So, I did not close the installation ticket and asked for a proper review. The next person who came started selling me fridge stand instead of giving demo. Even after telling him not interested for atleast 10 times he kept persuading me for the purchase of stand which he got with him. When I asked him for demo he showed me that he knows how to open and close the door that's it. For my questions on the features and settings he did not have any answer and called his manager who also did not know about it and said he(Mgr) will check and himself come next day to give the demo. But instead closed the ticket. Even the Jeeves manager wanted me to purchase the fridge stand and was trying to convince me by telling the risks of damage to the fridge by not using the stand which I found quite irritating and low market. Overall purchase experience from Flipkart was good. They need to improve the installation & demo part. Jeeves is definitely not good. Got it for good deal! Product is good delevery is also fast but the problem is that flipcart provide the free demo and installation which is fake. The guy coming for demo and installtion is from flipcart not from LG .Flipcart guy is lol,no knowledge about product and installation only come to see wheather product is broken or not. When u ask any question him only one answer comes "I DO NOT KNOW". The item has some dents, when looked closesly. More than Value for Money! Awesome product with a good deal from flip kart. Logistics need to be improved as I had to wait long for the delivery.